Zimbabwe once served as the royal palace, is now a great safari destination to explore the ruins and the wildlife. The splashing waters of the majestic Victoria Falls is one the greatest natural spectacles to behold. Be on this classic Zimbabwe safari and enjoy unique experiences of privacy at Hwange National Park, Mana Pools, and Victoria Falls. If wilderness to the highest level is what you are looking for in a safari, then Zimbabwe is a place wherein you can fulfill your dreams. Step into the land of Africa’s wildest land and spot the incredible wildlife, waters, and landscape like never before. From wild black rhinos to huge herds of elephants, azure tranquil lakes and rivers to deep and dense forests, Zimbabwe has everything that can make a safari wild and adventurous. There are two major rivers - the great Zambezi and languid Limpopo river - which makes the Zambezi a perfect place to spot water animals. You can spot an exceptional variety of spectacular scenery at all water resources in Zimbabwe. Not to forget, Zimbabwe is also a home to one of the world’s natural wonders: the Victoria Falls. So, planning a safari in Zimbabwe is deserve to be on the top list of your upcoming safari destinations. Places like Mana Pools National Park, Great Rift Valley, Hwange National Park make Zimbabwe an ideal destination for spotting wildlife like never before. 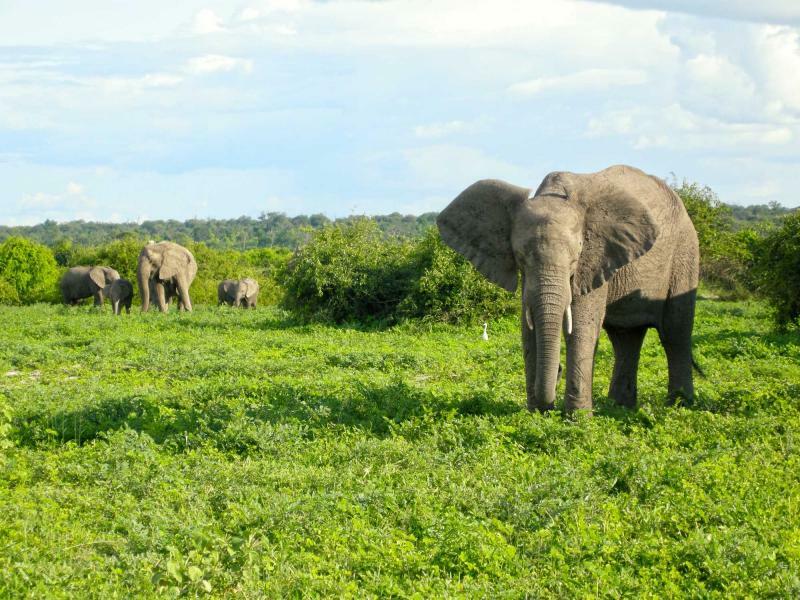 Hwange National Park covers some 1.4 million hectares and supports a mix of habitats. This diverse area is shared between desert-adapted and woodland species, ensuring large numbers of animals all year round – elephant, buffalo, sable, roan, giraffe, wildebeest, impala and even gemsbok. 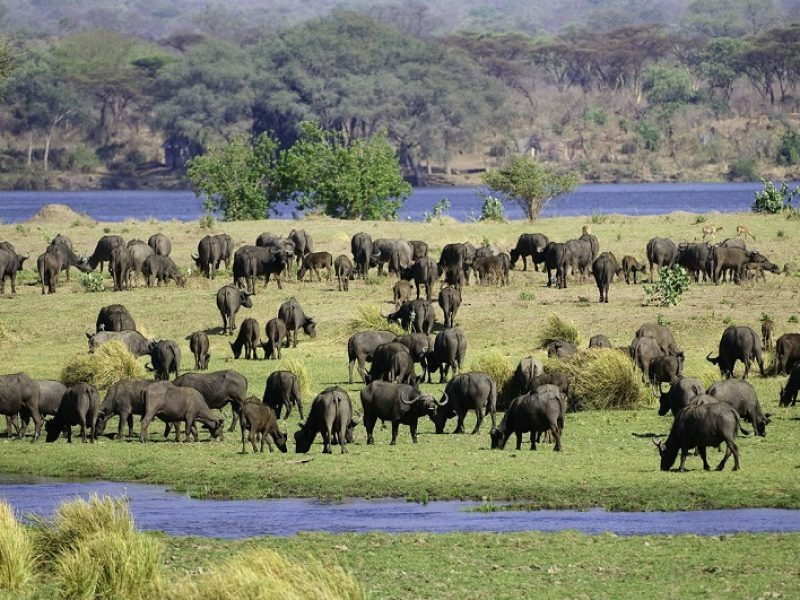 Spot huge herds of buffaloes, great elephants, along with small troops of antelopes and big cats on the banks of the great Zambezi river. Talking specifically about the Mana Pools National Park, it lies in the heart of the Lower Zambezi Valley, where the Zambezi River meanders for 300 km on its way to the Mozambican border. It is a remote, wildlife-rich trove offering spectacular views of the river, floodplains, the tree canopy and the mountains of the Rift Valley escarpment across the border in Zambia. Be on the Mana Pools and get immersed in the subtleties of the wetlands, a mosaic of rivers and pools stretching out from Ruckomechi Camp. Stay in an opulent lodge offering a private concession. Create your own program of land and water-based activities while enjoying stunning sightseeing. 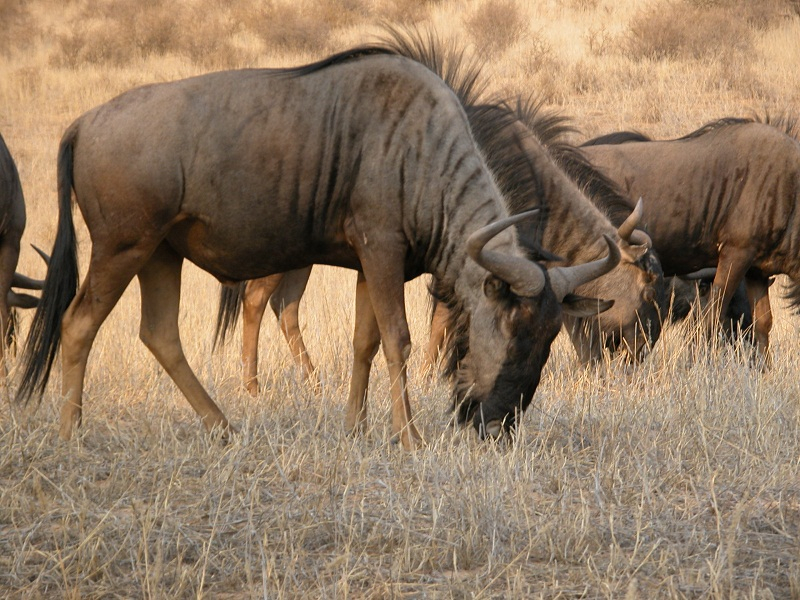 Zimbabwe is a home to some of the great African wildlife which includes but certainly not limited to, elephant, buffalo, sable herds, roan, giraffe, wildebeest, impala and even gemsbok. Do not miss the big cats including lion, leopard, wild dog and cheetah, along with African wildcat, waiting for their prey on the seashores. You may also spot honey badger, civet, and hyaena at some parts of Zimbabwe but that happens rarely. Rhinos look incredible in person. Watching them live is one-of-a-kind experience and in Africa, you will get them all. Being huge in size and unique in appearance, they are sure to give you goosebumps. 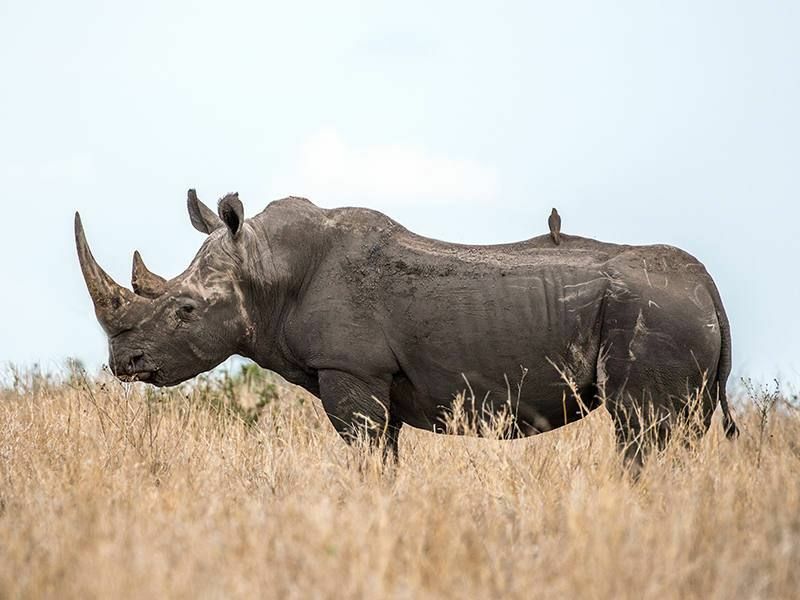 Black rhinos are shy creatures, but they respect your patience, slowly recognizing that you’re not a threat. Spend time in their natural habitat, monitor their activities, and sense the presence of greatness. Taking a few more steps forward, you glimpse the horns through the shrubbery, then stand and gawp as two black rhinos emerge. Track them on foot and see them sharing the same dusty ground as their one-ton prehistoric frames. Be on the Mana Pools and get immersed in the subtleties of the wetlands, a mosaic of rivers and pools stretching out from Ruckomechi Camp. Stay in an opulent lodge offering a private concession. Create your own program of land and water-based activities while enjoying stunning sightseeing. Since a significant portion of wildlife does reside around the water, you will have a great opportunity to notice the increase in abundance, encountering a similar set of animals in Matusadona but in much larger numbers. Now it’s hundreds of elephants, insatiable herds of buffalo, several lions pride and an endless procession of zebras, elands, impalas, and kudus. Victoria falls is a legendary waterfall that impresses all the senses. It has a roar of thunder and feels like hundreds of tons of water droplets are hitting the ground every second. You can not imagine how standing in front of it would feel until you visit it personally. This natural legend deserves to be the first destination of your ultimate Zimbabwe safari. Hwange National Park is the largest and best known of Zimbabwe’s safari destinations, where The Hide provides three days of classic safari under canvas. Explore the Hwange National Park, not by foot but by air. With charter flights, you will hop from wilderness to wilderness, never interrupting your connection with nature’s rhythm. Gaze at the elephants, rhinos taking bath in the river, lioness looking for its prey and much more while enjoying an exclusive charter flight. Sometimes elephants and buffalos occupy the airstrips, and you touch down to wild animals. The tranquil waters of Lake Kariba while rippling gently towards rugged cliffs and hidden islands, is a perfect solution to overcome any jet lag. At first glance, the lake seems to be a classic escape to a place where you can actually enjoy the tranquility. But hold on! You won’t be the only one to enjoy this all. Hippos barge across the lake, a host of monkeys occupy the surrounding trees, and you’re never far from Buffalo and a vast array of antelopes. So, spend your first day at Lake Kariba and experience the luxury of the lake while boating and canoeing across it. Have game drives and walks in Matusadona National Park which is nearest to the lake and is a home to many African mammals. Zimbabwe is a no rain and low malaria risk place that mostly have mild temperatures. Visiting it at any time of the month would not affect your safari experience. However, if talking about the best time to plan a Zimbabwe safari, dry seasons of May to October would be the best. This is the best time when you can enjoy the exclusive game drive to the forests and national parks of Zimbabwe efficiently and effectively. If you are not a summer person, do not visit Zimbabwe in hot seasons because months like September and October are extremely hot here. You won’t be able to bare it at all. 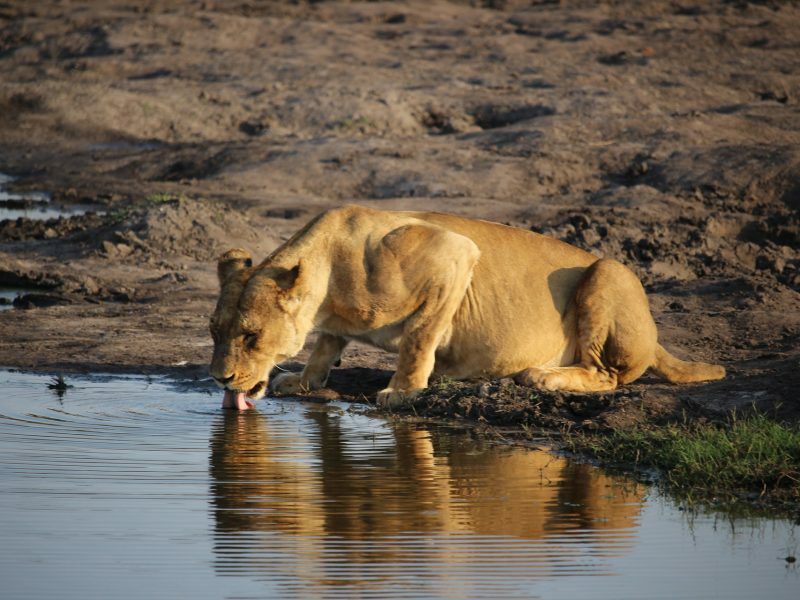 With mild temperatures, virtually no rain and a low malaria risk, the dry May to October winter season is generally seen as the best time to visit Zimbabwe for game-viewing, although note that September and October are extremely hot and dry months. Instead of this, enjoy the ultimate safari and luxurious camping in the rainy seasons when the falls are in full flood. The majestic Victoria Falls looks more magical in the rainy season, offering more dramatic views to the visitors. However, it is the August to December low water season that is regarded as the best time to go white-water rafting at Victoria Falls - the volume and speed of the water is reduced and the rapids are more exposed. If you are a citizen of the US, Canada, and EU, you need not to carry a visa for a Zimbabwe safari. You can stay there for up to 90 days. In other cases, do not forget to fulfill your visa and passport requirements as per the rules before leaving for the safari. Zimbabwe is a high malaria risk area. Most of the parts, including Victoria Falls and Hwange NP are prone to malaria and hence, need to be visited only if vaccinated properly. The highest risk of transition is in the rainy season from October to May. So, make sure to get vaccinated before leaving for the safari. Try to avoid late night drives as the road conditions are a lot different from Western countries. You may not spot potholes and road edges making your drive harder and less flawless. Most of the areas in Africa allow you to capture photographs but do not try to get too close to the animals as they may not like it. Be within a safe limit and you will enjoy the incredible wildlife like never before. Also, don't take photos of government or military buildings and constructions as this is not legit. In Zimbabwe, greetings are performed in order of age. If someone doesn’t greet you, it may be because they are older than you and are waiting for you to make the first gesture. So, if you meet a person older than your age, you should greet him/her or if a younger person meets you, he/she definitely greet you. It is extremely rude to talk back to an elder or challenge their opinion, even if they are incorrect. So, try to avoid speaking loudly with elders. Timekeeping is quite fluid in Zimbabwe and people are commonly late. Appointments rarely begin punctually and engagements often run overtime. Avoid being offended if someone does not arrive or forgets to apologize for being late as it is rarely a reflection on the personal relationship. People are more punctual surrounding business. Travel Review: Perfect Tour To Zimbabwe, Africa Safari, Botswana, South Africa..